Travel, tourism, vacation, trip, all of these words amuses every single soul on earth. You say’ “I am a nature lover” or maybe “I am a beach lover” or “I just love exploring the world.” And so do you travel. Now let me explain to you what is really travel for people. A few years back traveling outside a person’s local area for leisure was mostly confined to wealthy classes, who also traveled to far off parts of the world, to see famous buildings, great artwork, meet new people, experience new cultures, and to taste different cuisines. Tourism also encouraged the preservation of heritage properties as people used to visit such destinations from far away places. The tourism industry grew with people visiting pilgrimages. Since India is a profoundly spiritual country, people started traveling to find peace and calmness in pilgrimages situated in distant places, mostly mountains within India. On the other hand, youngsters in India are quite keen to explore areas where they can spend a good time either alone or with their friends away from their regular life at home. As we are happy to know that the increase in the tourism industry is bringing in employment and revenue for many, on the other hand, it’s affecting the culture and the environment. With more people traveling in India, many destinations started getting crowded, more crowded and thus overcrowded. This overcrowded nature of a place is called mass tourism. Now, let’s see how this mass tourism is ruining our country badly. Let me explain mass tourism with an example of the most famous northern state in India, Himachal Pradesh. What’s that first place you think of when I say Himachal? Manali? Kullu? Or maybe the capital, Shimla? In 2015 Himachal Pradesh welcomed nearly 17.53 million tourists; that’s almost three times of its own population. And since then the number is growing 7.5% per annum which has generated nearly 400,000 jobs in the state. That’s something good, so what’s wrong then? 55% of tourists those who visit Himachal, visit only Kullu, Shimla and Kangra and the tribals spots like Kinnaur, Lahaul and Spiti are ignored entirely. 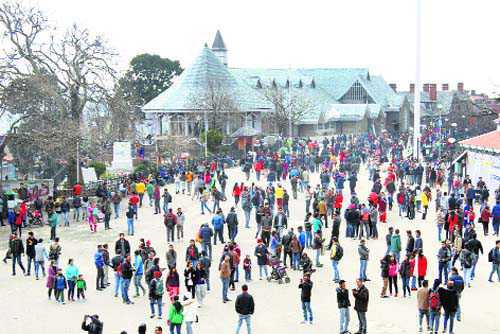 The unevenly distributed tourism in Himachal has become suffocating for its own people especially in these three areas which are overpopulated. The permanent citizens of Himachal are now forced to stay under a constant siege. The permanent residences are now turning into slums. The roads, the open spaces, the parking, the water supply; are all taken away to build new hotels, restaurants, and roads to meet the needs of these millions of tourists. The green areas are no more the green areas. Garbage and plastic are choking the rivers. The locals are being forced to give away their houses and be the witnesses of the destruction of their own land. What do you think is now left for us to visit the overhyped Manali or Shimla? 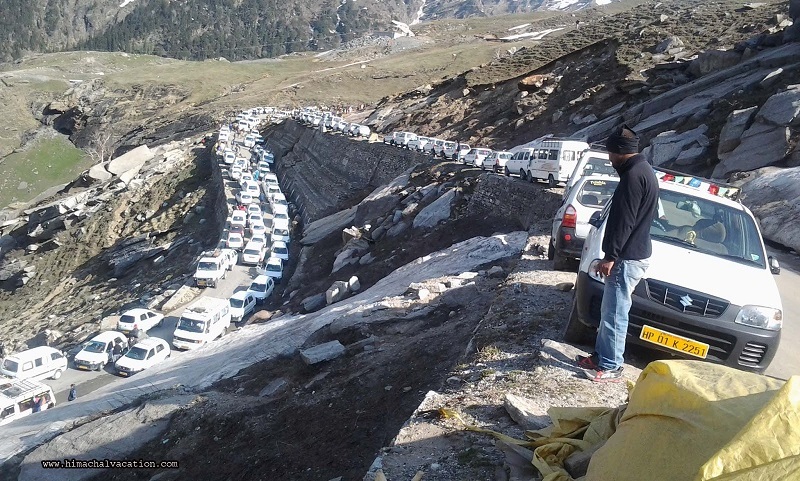 Let’s further take a look at this Manali, Rohtang Highway. Of course, we don’t travel to get stuck in traffic. For traffic, our own cities like Delhi and Mumbai are enough. I recently visited old Manali for a friend’s birthday. The ‘supposed to be’ exact 12-hour journey from Delhi to Manali took 19 hours that too with two stops for dinner and breakfast of 40 minutes each. You know why did that happen? Because it seemed that the entire world was traveling to Manali and we were the victim of that heavy traffic due to mass tourism. Tourist impact has been most noticeable in lesser developed countries. Let’s see what the significant effects of mass tourism that will soon destroy heavenly places like Kullu, Manali, Shimla and many more are. Many places in India are closed during the non-touristy seasons to prepare itself and make it available for the tourists when they arrive. In such cases, locals lose access to their own amenities. Similarly, essential amenities like electricity, roads and water supply, the infrastructure is tailored to the requirements of tourists and locals lose access to it. Inflation is another black hole of tourism. Let’s take Goa as an example. The fundamental things like fish, cashews, Alphonso mangoes are cheaper for people outside Goa, but they are still expensive for the average Goans because suppliers raise the price for tourists. Water pollution sounds quite familiar. There are two significant ways that pollute the water. One is due to the lousy sewage disposal system of thousands of hotels, and the other is the irresponsible way of the tourists traveling. Let’s take a look at this image of Versova beach, Mumbai. You can see plastic, garbage, something really evident that most of the tourists don’t travel responsibly. Beaches, which are supposed to be preserved have become dustbins for most of us. Tourism is considered to be a smokeless industry, but the vehicles that form mass tourism are contributing to air pollution in a significant percentage. Tourism in India is increasing at high speed, but it is also affecting the environment in a way that soon these touristy destinations will diminish and become just another state, that’s full of pollution. As a traveler what you do you decide? Will you follow this old structure of tourism and become a part of mass tourism and a helping hand in the depletion of the environment? Or you will travel responsibly, sustainably and in an eco-friendly manner? It’s time to go offbeat. There are a lot of beautiful places in south India, North India, West India and East India that are still unexplored. It’s time to explore the unexplored and travel responsibly.